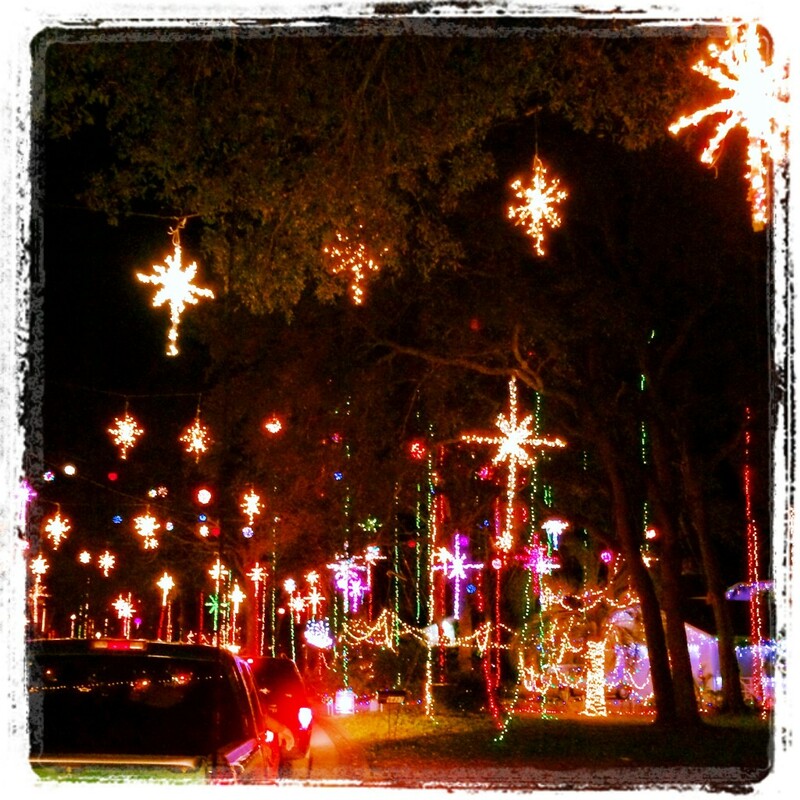 Are these the best neighborhood Christmas displays in the nation? Possibly! This is the Blackhawk Bluff subdivision off Girvin Road in Jacksonville, Florida. Neighbors string lights not just in their yards, but from home to home and across the streets. For 11 years, they’ve been creating these displays and stringing them with cables and fishing line, using bows and arrows! Yes, almost all of the residents of the neighborhood have their own bows and arrows. Not surprisingly, it was an electrician who lived in the neighborhood who first envisioned hanging Christmas lights in this manner. This is just a snap shot from my car. You have to drive the neighborhood to experience it properly. It has become a Christmas tradition for our family. We have toured Christmas lights all around the country and this is the best. Amazing participation from the residents, it was such a fun evening. Congrats to all who have brought joy to so many. Boy, you are right about that, Linda! What an amazing thing that so many neighbors could come together to create something so magical! It has definitely become a holiday tradition for my family. We would not miss it for anything, and are fortunate to live so close to it. Glad you got to experience it. Merry Christmas!